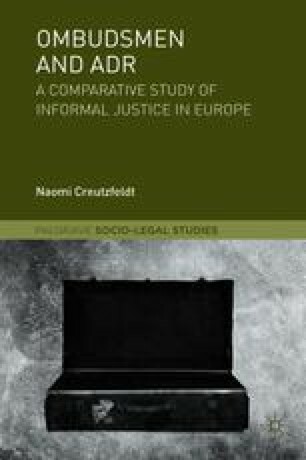 This chapter provides an overview of Europe’s justice systems and introduces the consumer ADR directive and the regulation on ODR—these form the basis of the fundamental, EU-wide change to the informal dispute resolution landscape. It includes an outline of what the implementation of these new rules into national (UK and Germany) ADR infrastructure means for the justice systems. The implementation into national frameworks signifies different things in different jurisdictions and needs to be disentangled. I argue that, for the legitimacy of the new legislative framework for ADR/ODR to be accepted, it needs to be understood in a national context and through its relationship with the formal legal system.